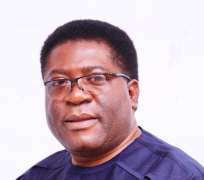 As the Deputy Governor of Imo State, Prince Eze Madumere, continues with his 2019 governorship project despite yet-to-be-settled dust over impeachment plot against him, which is still in court, the unsigned purported reported of the 7 man panel of enquiry has shown that the alleged convict is one Uche Madumere. It will be recalled that on September 3, 2018, during a court session, Prince Madumere’s lead Council had opened can of worms, revealing that the purported report of the law makers led by the Speaker, Acho Ihim failed to prove their allegation of incarceration against the Deputy Governor in the United States of America, where he worked in multinational firms for many years. To the consternation of unsuspecting Imolites, the purported report of the law makers had rather than proof their case had mentioned one Uche Madumere who has no relationship with Prince Madumere. The revelation has rather caused disaffection in the State, wondering why the good name of Madumere should be tainted only because he chose not to support Gov. Okorocha’s son-in-law, Uche Nwosu. Governor Rochas Okorocha controlled faction of Imo State House of Assembly had among other things accused the Deputy Governor of keeping secret of incarceration over theft but failed to give proof of the allegation. In response, media aide to Prince Madumere had described the allegation as a case of calling a dog bad name to hang it. The alleged action of the law makers drew the anger across the country, condemning Governor Okorocha and the members of the House of Assembly for their inglorious action. Among some of the leaders who spoke against the impeachment plot are Rt. Hon Emeka Ihedioha, former Deputy Speaker, House of Representatives, Hon. Uche Onyeagocha, fiery activist lawyer, Chief Femi Falana (SAN), Senator Victor Umeh and many others. It will also be recalled that the lead Counsel to the Deputy Governor, Chief Ken Njemanze (SAN), during the hearing of Madumere’s suit had revealed that the report of the invisible 7 man panel was not signed and, therefore, was a “mere piece of paper”, establishing that the impeachment process has been shrouded in illegality. It is about two months since the Deputy Governor has been locked in legal battle against an impeachment notice served him by Imo Assembly alleged to have been sponsored by Governor Okorocha over breach in the constitutional procedure.